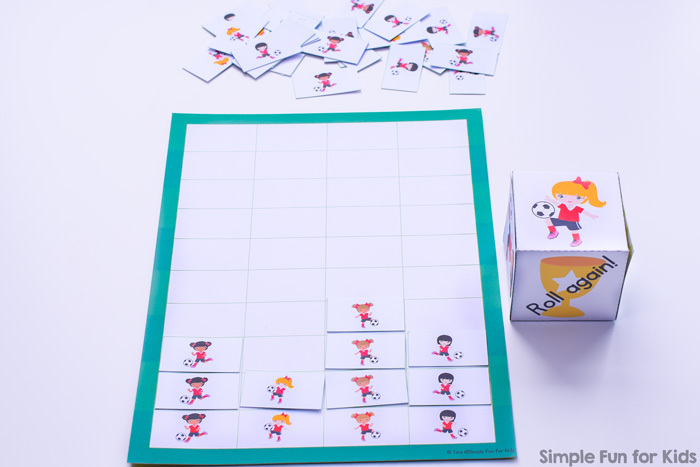 Print out the pages and laminate the gameboard and soccer player cards for extra durability (optional). Cut out the custom die template at the black lines and the soccer player cards at the green lines. 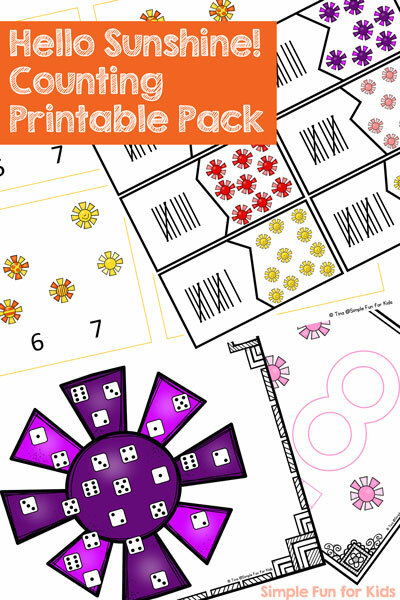 Crease the die template at the dashed lines and use a little glue or sticky tape to put the custom die together. At the end, determine the top 3 players and count how many times your die landed on each of them. Soccer Ball Fingerprint Counting uses the same set. Are you looking for more soccer activities? Try these! Plus, a few resources from Amazon! 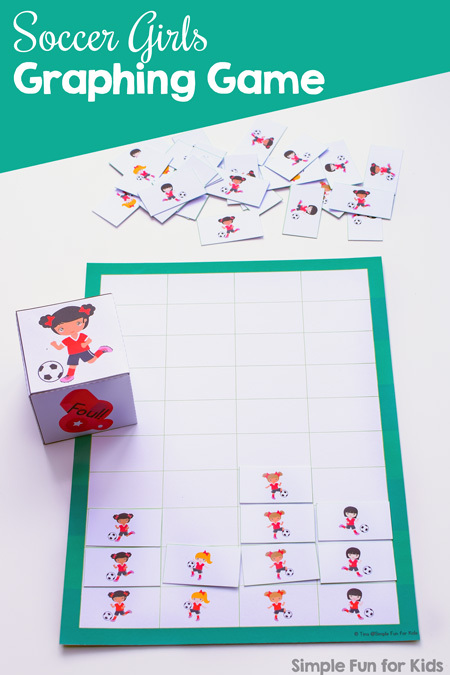 The Everything Kids’ Soccer Book includes everything a kid needs to know about soccer: How to play the game, rules, techniques, and more! 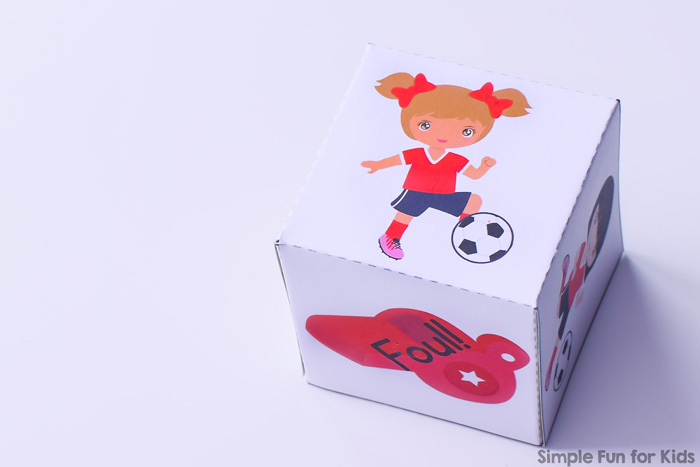 Froggy Plays Soccer is a fun look at preparing for and playing a soccer game from Froggy’s point of view. Little Tikes Easy Score Soccer Set is perfect for soccer practice in your backyard. PLAYMOBIL Take Along Soccer Play Set is an awesome toy for groups of bigger kids to play with on playdates or on the go.